I signed up for this race only last week, right before the last price increase. I race very hard, I’m always looking for a PR. And didn’t think it was the best idea to race while marathon training. It usually take me a few days to recover. 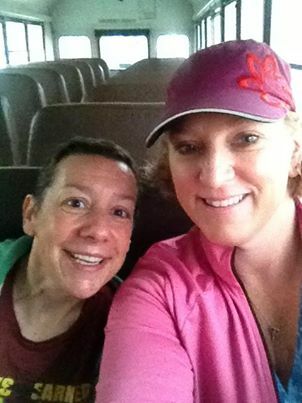 My friend Amy drove to Tacoma and we made the last bus to the start. This race was a point to point race, starting in one place ending in another. We met my friend Jamie at the start and got in the enormous line for the port-a-potty’s. There were only 20. They needed double that. This was a smallish race about 800 people. By the time I finished they had started the count down and I was in the back of the pack. I spent the first 3 miles trying to catch the 2:00 pacer. It was tough weaving in and out of so many people on a narrow road. I caught the pacer on the bridge and passed him. This was a hilly course, but for every up hill there was a down, which I love. 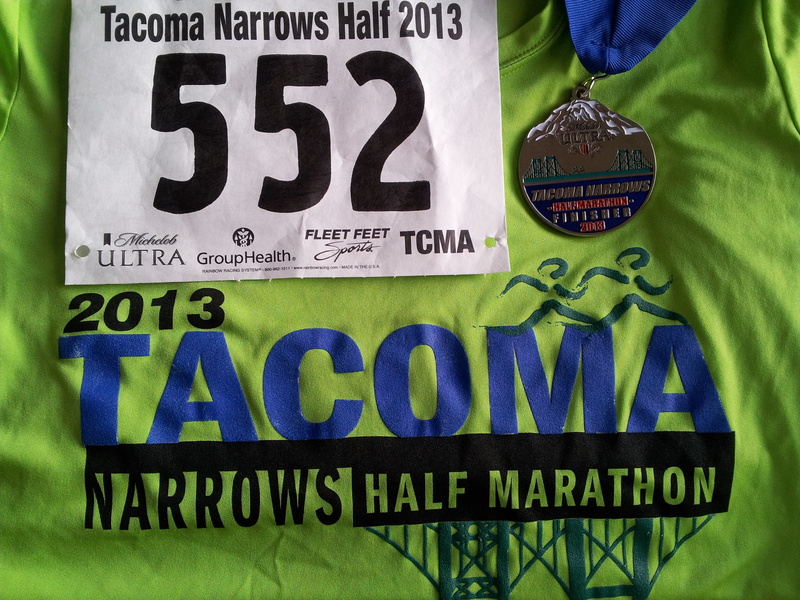 We ran through some Tacoma neighborhoods, but most of the race was along the highway. It was about 60 and overcast which is great running weather. I knew I was running well and on target for a PR. I just didn’t know if I could hold on to it. I did not carry any water. There were 5 water stops, I would have liked one or two more. They had water and I think Nuun at all stops. After mile 10 there was a big down hill and the rest of the race was down hill slightly. I just had to keep under a 9 minute pace for the PR. I had a little kick at the end and finished 1:55:55! Almost a 2 minute PR. Jamie also had a PR and got 3rd in her age group, she is super speedy. Super happy at how I did on this race. It was hard, and I pushed it, but that’s what racing is suppose to be. My last Half PR was 4/12. Jamie, Amy and I had brunch and then headed back to Seattle. Thanks to them for the pictures. I will get better about taking them. Of course I’m going to love this race because of the PR. And my only complaint is not enough port-a-pottys at the start. Today I’m paying for that PR. My quads are toast and going up and down stairs is brutal. Pain is temporary that PR high will last a long time. 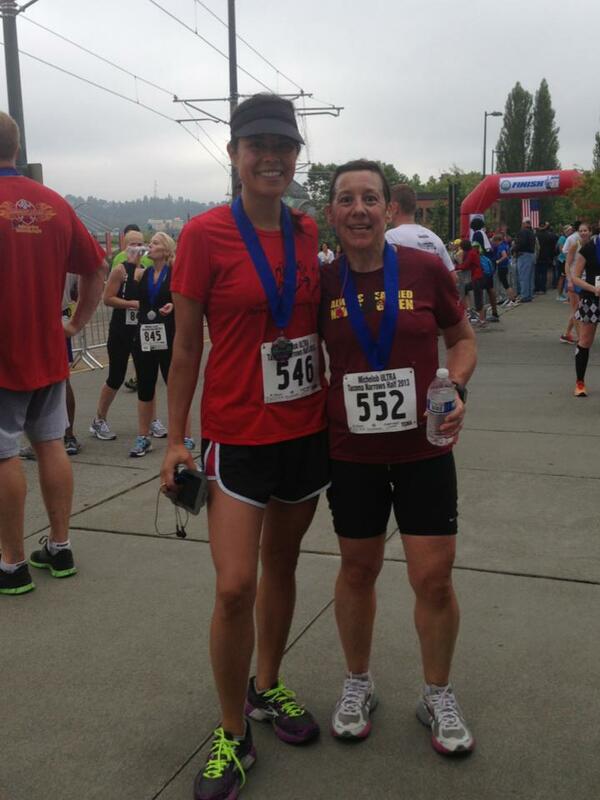 This entry was posted in Uncategorized and tagged PR, Race, Running, Tacoma. Bookmark the permalink. Looking forward to sharing and we’ll definitely make sure to link back to here in the post.